There are not that many films that talk about AIDS infected individuals, how the pharmaceutical companies take their approach toward such a deadly disease, and the government that does not do much work to prevent the numbers of infected from rising. More importantly, how the activists battle to educate people and make them aware of AIDS and its irreversible implications. 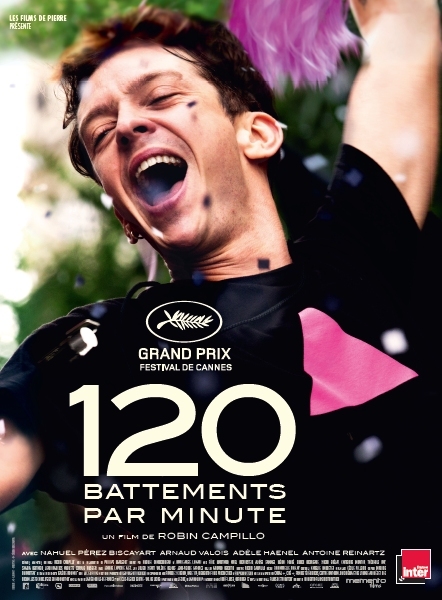 By the time BPM begins, AIDS had already viciously claimed so many lives. Those who are still alive or at least that revolve around this film, are involved in ACT UP, their AIDS advocacy moment to prevent the disease from spreading. It also offers a sensitive look into how the heroes of BMP got infected in the first place, the background of protests, how they have been planned, arranged and even executed. Through that process there are acts of violence as well, but no matter how brutal the protest could be escalated, it’s never higher or brutal than the sense of indifference being effectively shown by the state. Nathan recently joined to ACT UP community lead by Sophie who trains everyone the technique of the right protest. However, Nathan, a charming young man who does not have a long life to live joins the group of protesters that promote violence. All these and many things will come together to culminate the beats of every heart in a very astonishing way. Beats per Minute is a powerful drama and one of the best narrated films about the struggle and frustration of the ACT UP community, their way of educating people and raising awareness. This film is not about who will live longer with AIDS but about people who make sure their legacy will be lived upon those who gave their lives due to AIDS. What this film teaches, and it’s very important to comprehend – protection comes first rather than anything else. It’s just that unfortunately it comes only from those people who learnt it the hard way.